You have to hand it to the Chinese. They're not sitting on their@rses with their hands out for aid money like others we could mention. They're organised, and hardworking and sorting the mess out themselves. 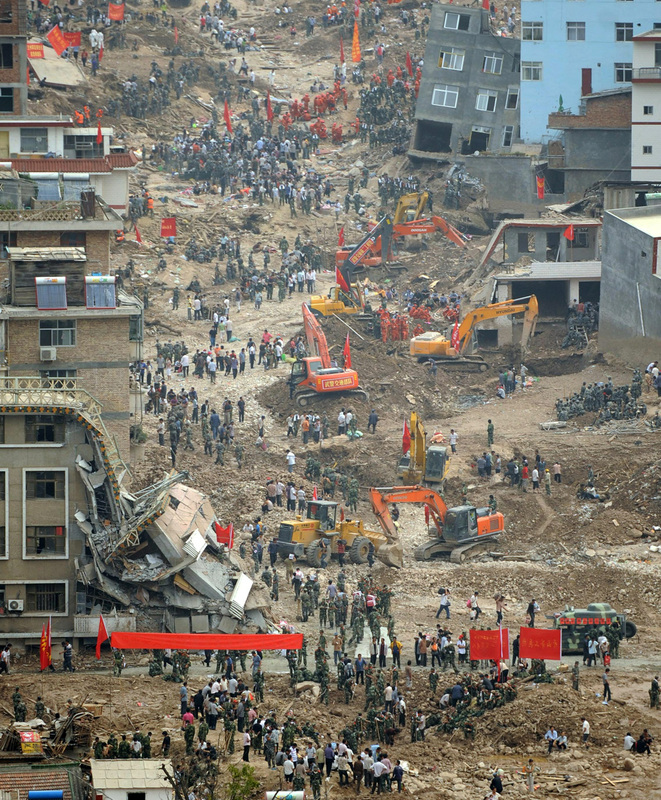 A 2006 report by Lanzhou University warned of the dangers presented by the destruction of the forests around Zhouqu for mining and agriculture, causing soil erosion and destabilising hillsides. "The hills have become highly unstable and easily subject to natural disaster of landslides and mudslides," the report said. "The situation is the result of deforestation, exploitative mining activities, construction of hydroelectric power plants and other development activities." So without wnting to denigrate the efforts of the Chinese to assist the victims, this is sadly a typical thing of the govt looking the other way until disaster strikes. I guess it's emblematic of the Chinese cavalier attitude to Health and Safety - the complete antithesis of our attitude.